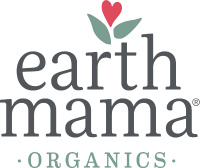 Green Mama Activism: National Day of Action on Safer Chemicals! Just a month ago our friends at Safer Chemicals held a Stroller Brigade on Capitol Hill. Hundreds of participants, hundreds of news stories, and over 80 meetings on the hill. We were excited to help in this process on social media and spreading the word about the need for safer chemicals to protect kids and families. Now, to keep the momentum going from the Stroller Brigade, Safer Chemicals is hosting a National Day of Action on Monday December 9th, to generate phone calls to Congress about toxics. Will you join us? We’ll be underscoring the importance of making sure reform of our federal laws on toxic chemicals is done right. In 1976 Congress passed a deeply flawed bill (called the Toxic Substance Controls Act), so flawed that we must learn from our mistakes and make sure that any reform passing Congress is adequately protects public health from toxic chemicals. The bill before the Senate (and recently before the House), the Chemical Safety Improvement Act, as drafted, does NOT protect our families from toxic chemicals. Read Safer Chemicals Campaign Director’s testimony before the House last month. The bill is so weak, that as drafted, the EPA still wouldn’t be able to regulate asbestos! We need Congress to know we want chemical reform, but it must be real. That means reform that will protect pregnant women, children and heavily polluted communities from toxic chemical pollution. Join our Day of Action on Monday December 9th and tell Congress we need real reform of our federal chemical laws. Sign up to join the email list to participate! As your friends and family to join us on Monday – making a call has never been so easy! Monday we’ll be storming Congress with our calls, and your participation is key. “Hi my name is _______ and I am a (insert something like mom, dad, aunt, nurse, community leader, doctor etc). I am very concerned about toxic chemicals in consumer products, the places we live and work and their impact on my family’s health. I’m calling Senator ___________ to ask him/her to make sure that reform of our toxic chemical laws is REAL. The bill before the Senate, the Chemical Safety Improvement Act as drafted does not have my support. Phone calls are very important way for your Senators to know how you feel. In short: Your calls work. Let your Senators know that in order to win your support for reform, it must meet the recommendations of the mainstream medical community. We’ll discuss the Day of Action this week #EcoTipTue with @MomsRising. Lindsay Dahl from Safer Chemicals will be our special guests and we want to hear from YOU. How was your call to Congress? What other actions did you take? Please join us on Twitter at 9pm ET/6pm PT.